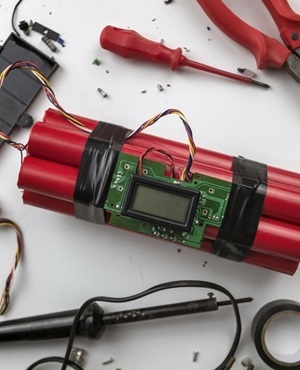 Yaound - Five children were killed on Tuesday night and two others wounded by a suicide bomber described as a "young girl" in a northern region of Cameroon plagued by Boko Haram attacks, sources said on Wednesday. A group of children was playing when "a young girl slipped in" among them, triggering her explosive charge, the safety officer explained. On Sunday and Monday, at least 20 people were killed in attacks by the Islamist group Boko Haram in Nigeria and Cameroon. Since 2014, when Cameroon went to war against Boko Haram, the jihadi group has killed "2 000 civilians and soldiers" and abducted "a thousand people" in the far north of the country, according to the International Crisis Group (ICG). Since its emergence eight years ago, Boko Haram has killed at least 20 000 people in Nigeria, Cameroon, Niger and Chad.